STATE CAPITOL, PHOENIX – Today an effort that Senator Leah Landrum Taylor has worked on for twelve years was recognized as a model project. The Grandfamilies Place of Phoenix Apartments was named Exemplary Urban Multifamily Project at the Brian Mickelsen Housing Hero Awards held during the Arizona Department of Housing's Arizona Housing Forum held at the J.W. Marriott Starr Pass Resort in Tucson. Grandfamilies Place of Phoenix Apartments opened just this past July with 56 apartments for senior caregivers who are raising their grandchildren and features a social-services coordinator on site to assist the resident families. The Grandfamilies project was inspired by a 2000 visit to a similar facility in Boston while Sen. Landrum Taylor was attending leadership classes at the Harvard Kennedy School, with an emphasis on affordable housing. Upon returning home, she began steps to create a similar housing community for her community. 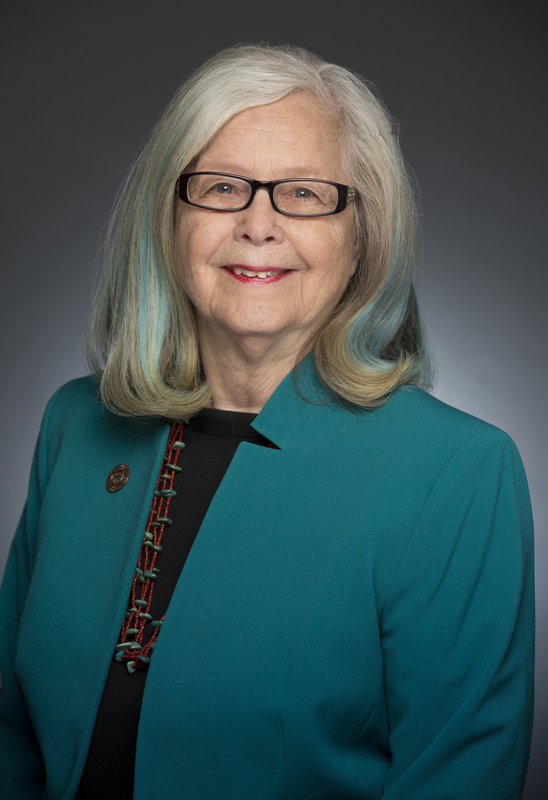 After years of meeting and helping grandparent/grandchild families in South Phoenix, seeing the dire need for housing assistance, Sen. Landrum Taylor formed a coalition of community organizations, government agencies and community members to realize her vision. Repurposing an apartment complex notorious for crime and violence, the Grandfamilies project not only provides housing but has dramatically improved the surrounding neighborhood. "I've been working on this concept for twelve years now and to now know that it has not only recently come to fruition but has been recognized as a Housing Hero brings joy to my heart and to those who have worked so hard to see this happen," said Sen. Landrum Taylor. "The real winners, though, are the residents who are reaping the benefits of this effort by keeping families together, safe and in an environment designed to help them succeed in life. They are the real heroes in my mind."